If you are interested in selling or renting your property in Marbella or Costa del Sol, this is a good time to list it with a serious company with a proven track record. 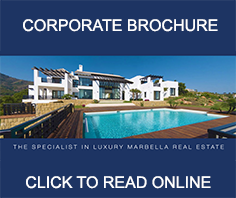 Marbella Direct is a specialist in luxury Marbella real estate with a reputation that goes back over 30 years. We represent some of the finest homes in Marbella and over the years have sold many of its best properties. We know how to promote your property in a way that is tasteful and discrete, yet reaches the right buying public. Contact us now for a Free Valuation if you are interested in selling or renting your property.